Riverside Farms is the perfect location for your quintessential Vermont wedding. The property boasts six beautifully restored barns, over 700 acres, a working farm and much, much more. Riverside Farm is the country’s most exclusive wedding venue only serving 15 weddings a year with several venues to choose from for your Vermont Wedding. The fully-restored post-and-beam farmhouse features 15 deluxe guest bedrooms and several spacious common areas, including an inviting wrap-around porch with Adirondack chairs and a large event space that can seat up to 150 guests. The property boasts 40 scenic acres complete with two ponds, a waterfall, hiking and biking trails, and farm animals to visit. 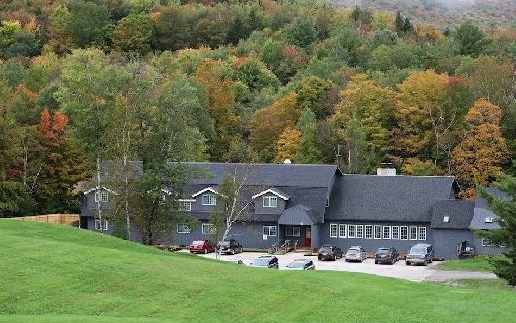 Located only three miles from Killington Ski Resort and overlooking the fairway of Vermont’s #1-voted public golf course, this larger-than-life country farmhouse has everything you could hope for in your Vermont vacation.The Trailside Inn is a rustic and inviting Inn that boasts two separate event spaces and 20 private guest rooms.